The last time I picked up a Murakami book was when I won 1Q84 from Mensis Liber in 2013. It was a challenging read, to say the least, and after that, I kind of crossed him out for a while from my reading pile. This book, with its beautiful packaging and all, got me to reconsider. THE HARD COVER EDITION, RIGHT? An office mate lent me her copy, and the illustrations were so pretty! 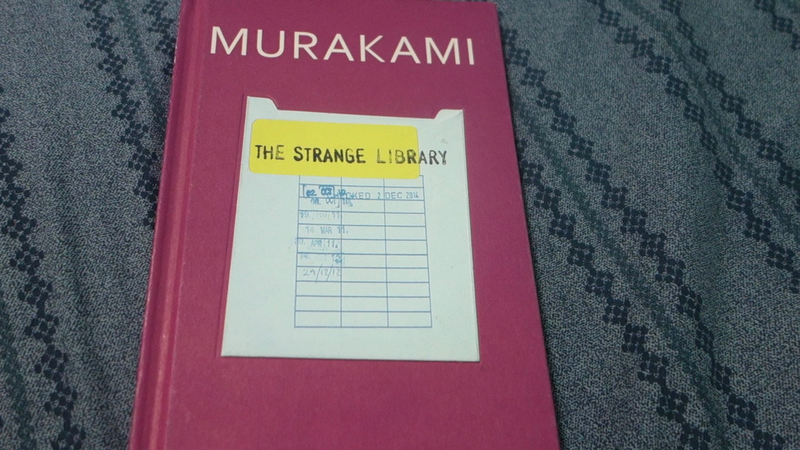 I wanted to like this one—after all, there’s an inquisitive boy, a mysterious girl, a sheep man and a brain-eating old man—but I have an issue with Murakami portraying the library, home of wonderful words, in an unpleasant light. But that’s Murakami for you. He turns the ordinary and mundane into something else—something either terrifying or magnificent. Haven’t read this one but I agree that the illustrations were pretty. Murakami’s one of my favorites because of Sputnik Sweetheart and Colorless Tsukuru Tazaki and his amazing use of narrative prose. But yeah, he does not strike everyone’s fancy. Yeah, Murakami shines in short stories. I remember being mesmerized by the surreal, wabi sabi-ish narratives in After the Quake. “On Seeing the 100% Perfect Girl One Beautiful April Morning” is a staple part of our discussion in World Lit (most of my students like it).